In response to the Governor’s request for advice, in April 1947, the Trinidad Historical Society suggested the formation of a Historical Records Committee. This Committee was to survey the problem and make recommendations related to surveying, classifying, cataloguing and preserving records of historical interest in Trinidad. Little was achieved due to the absence of a Secretary. Work resumed when Dr. Eric Williams assumed the post of President of the Trinidad Historical Society in May 1954. He advised the Government to request technical assistance in connection with cataloguing, maintenance and preservation of Archives of the British Caribbean with special reference to Trinidad and Tobago. This request was denied due to financial constraints. 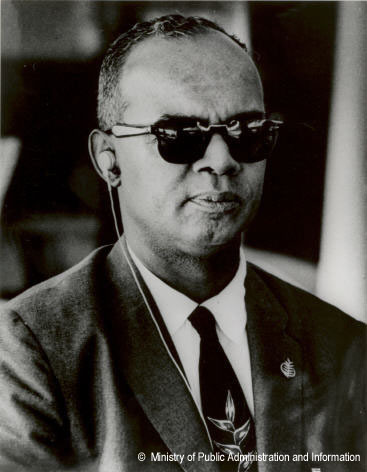 Nevertheless through his many detailed letters, Dr. Williams persisted to exert pressure on the Government towards preserving archival records of Trinidad and Tobago. These efforts resulted in two major thrusts in the 1950’s. In June 1954 the Acting Governor Maurice Dorman proposed the establishment of an Archival Office under the supervision of the Central Library with an Advisory Committee consisting of concerned persons. In May 1955 the Executive Council of the Government accepted Mr. Dorman’s proposals. He was made Chairman of the Committee. Monies were allocated in the 1956 Budget for a new item, ‘Preservation of Archives’. Tobago’s Archives were treated separately under District Administration (Tobago ).